California State Parks officials recently announced they have undertaken a resource protection project at the park in an effort to improve public safety and protection of the natural and cultural resources surrounding the popular waterfall. Increased visitation to the park has resulted in erosion along Highway 1 as visitors seek access to the Waterfall Overlook Trail. Traffic and stormwater runoff has also destabilized about 500 feet of coastal bluff above the falls on the west side of the highway. Jeff Frey, environmental scientist for California State Parks, Monterey District, said that because of the increase in usage of the park and unauthorized access and damage to its sensitive natural and cultural resources, new fencing and new signage is being installed. Both will guide visitors to the safest parking locations from which the Waterfall Overlook Trail can be accessed. About a half mile of the trail is also being rehabilitated by de-compacting the soil and planting native vegetation in order to return the area to its natural state. A home that was there in the late 1930s to the 1960s brought with it non-native trees and vegetation to the area. The project, which officially began in early November, is expected to be completed by March. The McWay Falls resource protection project is one of a number of ongoing efforts to repair damage in Big Sur caused by fire, rain and increased visitation. A Park’s trail team has been working to repair and re-open the extensive trail system on the east side of Highway 1. Additionally, the parking lot at the main entrance of the park is slated for realignment, which will improve the accessibility of the restroom and picnic areas. He also noted that for the last 10 years park officials have had problems with an increasing number of visitors accessing an off-limits beach in the park by way of steep cliffs. They’re now taking measures to prevent that. 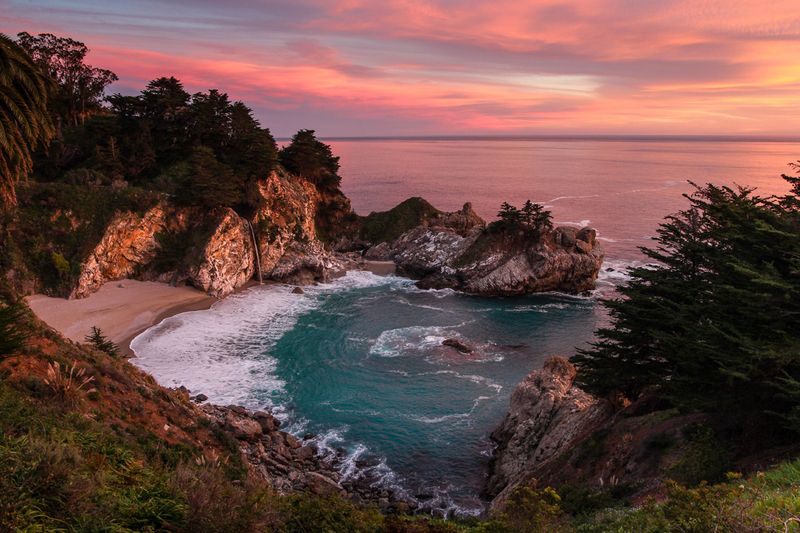 Julia Pfeiffer Burns State Park is located on Highway 1 approximately 40 miles south of Monterey. It encompasses more than 2,000 acres of land ranging from the Big Sur coastline to the nearby ridges of the Santa Lucia Mountains. Donated to the California State Park system in 1962, the park was named after a respected pioneer woman of the Big Sur country. Search all Big Sur Real Estate. 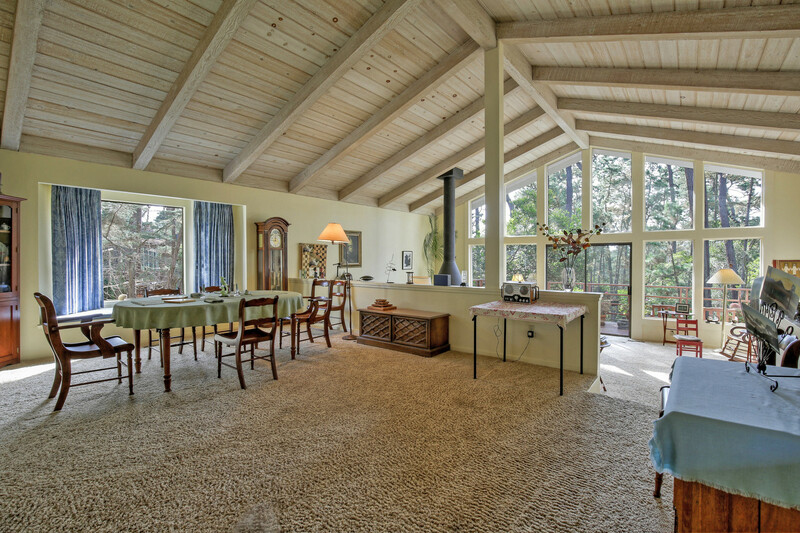 Search Big Sur and South Coast Homes for Sale. Pebble Beach resident and real estate broker Ed Ciliberti purchased the train car and longtime fixture along the Recreation Trail back in April for $27,000. But after acquiring and consulting with Monterey city officials on the new lease and its deed restrictions, he learned the lease would require the approval of more than just Monterey. It would also need the consent of the Pacific Grove City Council and the Board of Directors of the Monterey Peninsula Regional Park District for any commercial use. Weighing a hefty 20 tons, the steel car with wood exterior siding was built in 1916 as an outside braced boxcar and converted into a caboose circa 1940. It sits on property leased from the city and is located between Prescott and Hoffman avenues and adjacent to the Monterey Bay Aquarium’s new Center for Ocean Education and Leadership. Ciliberti purchased the caboose with the expectation to not only keep and maintain the Cannery Row piece of history but to also run an antique and collectibles business out of it as the previous owners Debbie and Randy Reinstedt did. He paid approximately $15,000 for the railroad memorabilia inventory owned by the Reinstedts. He has also had the caboose’s original 102-year-old roof restored by Noble Pride Roofing Company, which he said cost $5,000 although the company donated the labor costs. Additionally, he paid the Reinstedts separately for the original porcelain sign that was on the original boxcar/caboose that says “Western Pacific” and “Feather River Route” in its circular middle. Because of its history and monetary value he will keep it on display but will attach a new porcelain sign on the caboose’s exterior after the train car receives a new coat of deeper red paint. The original sign is worth in excess of $10,000 to $15,000. 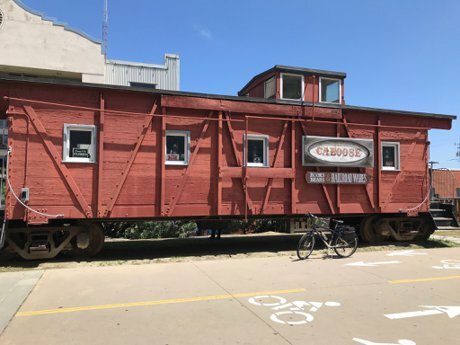 So far the city of Monterey has approved the lease and given permission to the new owner of the Western Pacific Wood Caboose #641, as it’s officially known, to open the commercial space. The five-year ground lease will cost $469 per month, almost $200 more than the previous lessees. Janna Aldrete, property manager of the city’s commercial leasing and property management department, said a new fair market analysis was done when explaining the rise in cost. While Ciliberti is still waiting, he expects permission from Pacific Grove and the Park District to come because support behind the preservation of the historic piece is so strong. He described the city of Monterey as being “terrific” to deal with and that the Cannery Row Foundation has also been very supportive. Upon his passing, Ciliberti has offered to donate the historical caboose to the Foundation. “I’m doing that because I know it will stay where it belongs,” said Ciliberti. Today we’ll be giving you a quick recap of what we’ve seen in our market for 2018, as well as what we predict for the new year. It seems we’re finally finding ourselves in the shifting market everyone keeps talking about. The beginning of 2018 was more of the same seller’s market we’ve seen for the past few years, but the end of the year has spelled a different story. Things have slowed down, inventory has increased, and for the first time in years, we’re about to be in a balanced market. If you’re a seller, now’s the time to sell before things shift further. From what we’ve seen, the shift from a seller’s market to a buyer’s market has already happened. So, if you’re a buyer, opportunity is knocking. However, there are still some pockets where the market is great for sellers. Though the market is shifting overall and we won’t be enjoying the same increases we had in the past, we believe things will stabilize next year. Whether you’re looking to buy or sell, have any questions, or need more information, reach out to us. We can give you a detailed look at your local market and help you decide the best steps to take going forward. Until then, we look forward to hearing from you. A recent donation to a Peninsula second-hand store turned out to be a major historical find. 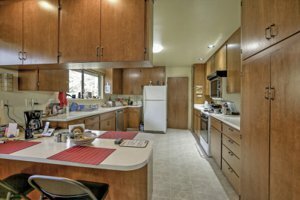 Like most resale stores, the Habitat for Humanity Restore located in Fort Ord in Seaside picks up donated items of all kinds on a constant basis. Located inside the military community, donations come in from all over Monterey County. That was around the time that Calvin Otis had recently been hired as manager there and was reviewing the “how-tos” of finding and identifying furniture markings and manufacturers. “The piece was obviously an antique by its dovetailing,” said Rubio, which is a quality describing the weaving of the piece’s wood grain and how it interlocks with other pieces. Whereas modernized machinery connects pieces uniformly, antiques were built by hand so the weaving is off, she explained. But it was when Otis pulled out one of the credenza’s magenta-painted drawers, that he noticed the clearly stamped A.A. Rateau on the back. After a little research, the thrift store’s crew discovered Rateau to be an eminent French furniture maker and interior designer of his time. Once the staff determined just who Rateau was they began reaching out to auction houses in Los Angeles and New York to get the piece appraised. They also reached out to the donor of the piece notifying them of their newly discovered knowledge but its long-time owner still wanted to be rid of the piece. After finding Iliad through the Art and Antique Dealers League of America, the world-class purveyors of Austro-Hungarian Biedermeier, French art deco and art moderne furniture expressed desire to acquire the piece. The firm’s design studio in Manhattan, along with its restoration workshop in Prague, creates contemporary and period-inspired furniture to and for a list of distinguished clientele. 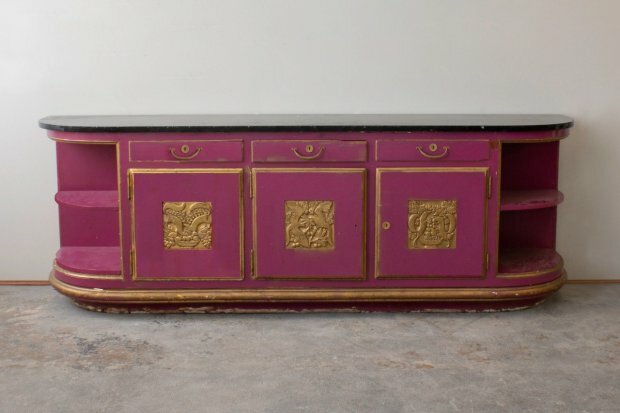 The interior design house acquired the credenza from the thrift store for $5,000. “Rateau — his pieces they just don’t become available, there are very few of them,” said Brown. “We have no idea what it was doing in the U.S., let alone in Monterey, California.” Brown said Rateau’s only big patron in the United States in the 1920s was the historic Blumenthal family. Now, as the Iliad staff acquires more research and background on the piece, a photographic documentary of the rare find is also being created. A ribbon cutting ceremony for the new facility at Pebble Beach Golf Links not only marked its official grand opening but also symbolized the formal kick-off of the resort’s 2019 Centennial Celebration. That coincides with the upcoming 119th U.S. Open Championship in June. About 200 guests including Pebble Beach, Monterey Bay Aquarium and Peninsula city officials perused the new 8,000-square-foot center located across from the Pebble Beach Lodge where a Bank of the West and a Wells Fargo used to be. Both banks’ leases expired and the businesses didn’t want to renew them so both buildings were connected with the creation of the new center in mind. While planning began long before, construction on the facility was completed in March of this year. All told, the new center itself, its restrooms along with the newly installed parking for buses and cars and overall infrastructure cost about $10 million, according to Perocchi, who said the upgrades and center had been two years in the making. The project’s lead architect was Philip Hardoin while the general contractor was Kenny Rudisill. Inside, the new facility features 25 exhibits created by Steve Kasper and Tom Tsubota, many of which are ceiling to floor display walls with iconic scenes from the resort’s history. As visitors enter the center to the left is a photographic timeline of the resort’s past with one portion dedicated to how the Hotel Del Monte led to the formation of Pebble Beach. Samuel F.B. Morse’s golf vision is also featured. The plexiglass wall displays also featured snapshots of the resort’s involvement with The U.S. Open Championship with iconic photos of Tiger Woods and Tom Watson holding up their championship trophies. An entire photographic panel featuring a life-size Phil Mickelson lists all the Pebble Beach Pro-Am champions since 1937 while another focuses on “The King” Arnold Palmer. Still, others showcase the resort’s celebrity and presidential history with one dedicated to Clint Eastwood dressed in the classic Western garb that marked many of his roles. One acknowledged the 15 presidents that have visited the golf links. Perocchi said he gave Eastwood a tour last week of the new facility that docents will staff from 7 a.m. to 6 p.m. daily and he loved it. There’s also a retail section and a large circular topographic relief map with numbered locations of the 17-Mile Drive. Bordering the round display are touch screens that feature Pebble Beach’s dining, retail, golf and hotel choices with the swipe of a finger. Improvements have been made outside the center too with expanded parking for both cars and buses and a clearer pedestrian path of travel. A town center/picnic area has also been created. During Tuesday’s ceremony, Perocchi acknowledged Morse’s grandson Charles Osborne and his great-granddaughter Mary Schley who were present. The company CEO also acknowledged a display showing the history of Pebble Beach’s ownership that at one time had 20thCentury Fox using its profits from its blockbuster hit “Star Wars” to buy a share of the famed resort. “We’ve had seven ownership groups in our 100-year history,” said Perocchi, noting its current ownership led by Peter Ueberroth and its 150 partners as its longest tenured one. At last week’s special preview of the new facility, there were also some other big announcements. RJ Harper, one of the golf industry’s most respected professionals and resort executives who died a year ago from pancreatic cancer, has been named the 2019 U.S. Open’s honorary general chairman. Other course improvements related to the upcoming 2019 U.S. Open including green restorations, new tee boxes and room renovations. 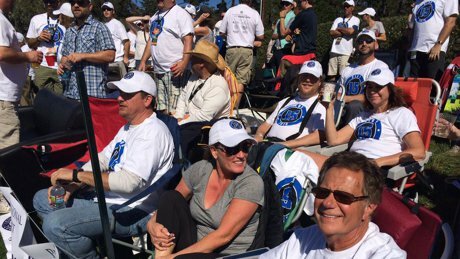 The economic impact of the event is estimated to be $175 million. If you are interested in Pebble Beach Luxury Real Estate, go to our Pebble Beach Luxury Real Estate for Sale page. Pebble Beach Ocean View Real Estate for sale can be found on our Pebble Beach Ocean View Real Estate page. 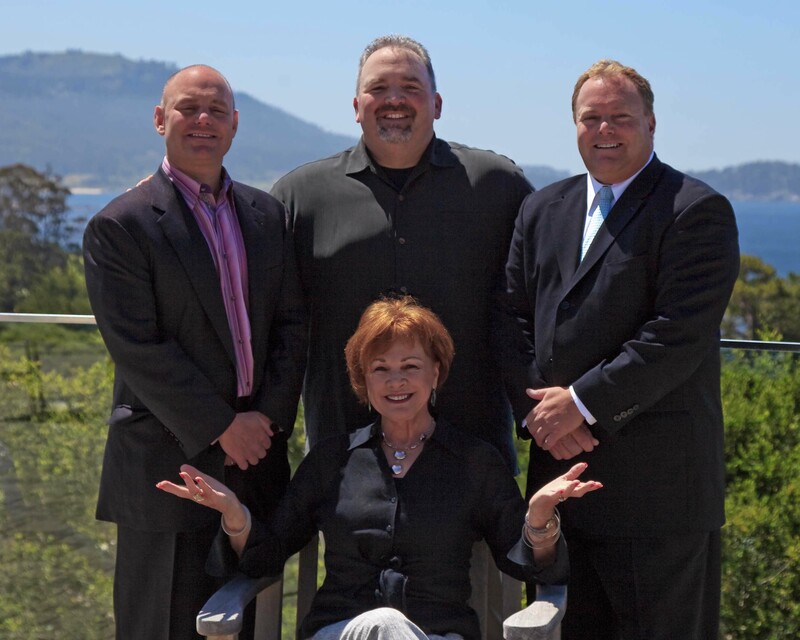 The Monterey Peninsula Home Team wanted to reach out and wish you a joyous and happy holiday season. We realize without you, our past, current and future clients, we would not have the thriving business we have today. We want to thank our past clients for their loyal support all these years and for thinking of us whenever they or someone they know have real estate questions. We want to thank our current clients for their trust in us to get their home sold or to find them the perfect home. And to those of you who become our future clients, thank you in advance for taking the leap of faith to work with us. We look forward to working our tails off for all of you when the time is right! We all hope you are surrounded by the people you love during this special time of the year, no matter where you spend your holiday season. You may have been hearing Realtors talk about a shifting housing market here in California and across the nation. What you’ve heard is true…Even on the Monterey Peninsula! After seven years of home value appreciation, the local seller’s market is shifting toward a buyer’s market. 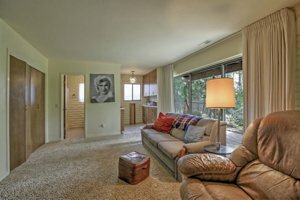 If you’ve been trying to buy a home in the past in the cities of Monterey, Pebble Beach, Carmel, Pacific Grove, Carmel Valley, Seaside, Marina and even the Hwy 68 Corridor, you may have noticed that there’s been low inventory available and that new homes are being sold almost instantly. However, in all of these local markets, this inventory is beginning to build up. For the first time in a while, serious sellers are having to lower their prices in order to attract buyers. Buyers now have more choices with inventory and can find homes with more reasonable prices. Thanks to the market shift, it’s a great time to begin making offers on properties. A market shift brings a lot of new decisions to the table, so if you’ve been uncertain about what you should do in your situation as a buyer or seller, reach out to us. We can give you specific information about our local markets and help you make an informed decision in real estate, as well as answer any questions you may have. We look forward to hearing from you soon.